Miscellany 6: Happy Birthday, Paddy! ​As Hitler’s war looms, famous Australian artist Roland Griffin returns home from London with his family to live a simple life of shared plums and low-cut lawns in the suburbs. A daughter, and a son, Hal, growing up with a preoccupied father, always out in his shed stretching canvases and painting outback pubs. An isolated man obsessed with other people, and places. Everything is a picture, a symbol. Even Hal, the boy in the boat, drifting through a strange world of incredible Floridas. As the years pass, Roland learns that Hal is unable to control his own thoughts, impulses, behaviour. The boy becomes the destroyer of family. The neighbourhood is enlisted to help Hal find a way forward. Child actor, a clocker at Cheltenham Racecourse, an apprentice race caller. Incredible Floridas describes Hal’s attempts at adulthood, love, religion, and the hardest thing of all: gaining his father’s approval. Sydney Morning Herald/Age review here. John Neylon's launch speech here. A long-deserted drive-in, waiting for a rerun of the one story that might give it life; a child who discovers his identity in a photograph hidden in his parents’ room . 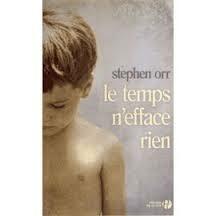 . . Stephen Orr’s stories are happy to let you in, but not out. In Datsunland, his characters are outsiders peering into worlds they don’t recognise, or understand: an Indian doctor arriving in the outback, discovering an uncomfortable truth about the Australian dream; a family trying to have their son’s name removed from a Great War cowards’ list; a confused teenager with a gun making an ad for an evangelical ministry. Each story is set in a place where, as Borges described, ‘heaven and hell seem out of proportion’. There is no easy escape from the world’s most desperate car yard, or the school with a secret that permeates all but one of the fourteen stories in Datsunland. Here is a glimpse of inner lives, love, the astonishment of being ourselves. ​​Read an extract ('The Photographer's Son') in Indaily here. Sydney Morning Herald review (Kerryn Goldsworthy) here. Newtown Review of Books review (Carmel Bird) here. Read the story 'Datsunland' here. Nice fireside chat with the folks at Griffith Review about short fiction writing. Read it here. He didn't look like he could jump a bull, but she knew he could. It was all in the hands, he'd often explain. The will. The bloody mindedness. On a cattle station that stretches beyond the horizon, seven people are trapped by their history and the need to make a living. Trevor Wilkie, the good father, holds it all together, promising his sons a future he no longer believes in himself. The boys, free to roam the world's biggest backyard, have nowhere to go. Trevor's father, Murray, is the keeper of stories and the holder of the deed. Murray has no intention of giving up what his forefathers created. But the drought is winning. The cattle are ribs. The bills keep coming. And one day, on the way to town, an accident changes everything. Longlisted 2016 Miles Franklin Literary award. Listen to a podcast with Cath Kenneally here. Another podcast with Storycast here. The Weekly Times review here. It was a butcher on smoko who reported the man stashing the kid in the car boot. He didn't really know whether he'd seen anything at all, though. Maybe an abduction? Maybe just a stressed-out father. Detective Bart Moy, newly returned to the country town where his ailing, cantankerous father still lives, finds nothing. As far as he can tell no one in Guilderton is missing a small boy. Still, he looks deeper into the butcher's story—after all, he had a son of his own once. But when the boy does turn up, silent, apparently traumatised, things are no clearer. Who is he? Where did he come from and what happened to him? For Moy, gaining the boy's trust becomes central not just to the case but to rebuilding his own life. From the wreckage of his grief, his dead marriage and his fractured relationship with his father may yet come a chance for something new. Dissonance begins with piano practice. Fifteen-year-old Erwin Hergert is forced to tackle scales and studies for six hours a day by his mother, Madge, who is determined to produce Australia’s first great pianist. To help Erwin focus, Madge has exiled her husband, Johann, to the back shed. Jo is diagnosed with cancer and Madge allows him back inside, but only for long enough to die. Madge takes Erwin to Hamburg to continue his studies. Erwin prospers in Germany with his new teacher until he meets a neighbour, sixteen-year-old Luise, and finds there’s more to life than music. Meanwhile, Germany is moving towards war. Late 1930s Hamburg forms the backdrop to an increasingly difficult love-triangle, as Erwin is torn between the piano, Luise and the demands of his love and devotion to his mother. Soon the bombs, real and imagined, start falling. Marriage and parenthood give way to death, and tragedy. Before long Erwin and Madge are drawn into the horrors of a war that leaves little time for music. Dissonance is a re-imagining of the ‘Frankfurt years’ of Rose and Percy Grainger. You can read an extract here. Nine-year-old Henry Page is a club-footed, deep-thinking loner, spending his summer holidays reading, roaming the melting streets of his suburb, playing with his best friend Janice, and her younger brother and sister. Until one day Janice asks Henry to spend the day at the beach with them. He declines, a decision that will stay with him forever. 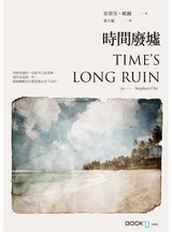 Time’s Long Ruin is a novel about friendship, love and loss; a story about those left behind, and how they carry on: the searching, the disappointments, the plans and dreams that are only ever put on hold. 1951. Among the coppiced carob trees and arum lilies of the Barossa Valley, old-school Lutheran William Miller lives a quiet life with his wife, Bluma, and son, Nathan, making wine and baking bread. But William has a secret. He's been studying the Bible and he's found what a thousand others couldn't: the date of the Apocalypse. William sets out to convince his neighbours that they need to join him in preparation for the End. The locals become divided. Did William really hear God's voice on the Hill of Grace? Did God tell him to preach the End of Days? Or is William really deluded? The greatest test for William is whether Bluma and Nathan will support him. As the seasons pass in the Valley, as the vines flower and fruit and lose their leaves, William himself is forced to question his own beliefs and the price he's willing to pay for them. In his gran's day jobs weren't a problem. But when Jack Alber gets laid off from the local servo there aren't many options. He's only seventeen and in his small town there's only need for one chemist and one butcher. And from his scribblings in his journal, it's evident that Clive 'Rolly' Rollins is more interested in observing life than living it. Jack and Rolly's fates are irrevocably changed when they both answer an ad to work as jackaroos on a remote outback station. The Great Sandy Desert will allow both to prove something to themselves and to their families and friends. A landscape of endless Mitchell grass and gibber plains will provide experiences they'd never find back home. But all it takes to change their destiny is one wrong turn. Riverland Stories ('The Photographer's Son', 'The Barmera Drive-In', 'The Pyap School', 'The Shack'). Click here to hear these stories read by the author on ABC radio. 'The Pyap School' (Transnational Literature, May 2016). You can read it here. 'The Shack' (Southerly 76/2 Writing Disability, January 2017). You can read it here.